Planning Director Brent Toderians thinks Vancouver’s designers should take this New York challenge to heart. It’s in this issue of Metropolis. Will the design community respond to the challenge of building the twenty-first-century city? Will they rally around the mayor’s plan? Will other leaders be able to see beyond their own egos? TIGARD — As Portland has looked to Vancouver, B.C., and Beaverton to Bellevue, Wash., Tigard’s search for inspiration to revitalize its downtown recently led a group of citizens and city staffers north to Port Moody, B.C. The suburb of about 30,000 people is known for its vibrant, dense urban center 16 miles east of Vancouver. Over several years, the town’s City Council managed to work with developers to build that compact downtown while preserving the surrounding open space residents called a priority. Now, urban planners hold up the result as a progressive antidote to sprawl. In Tigard, where the sleepy downtown is a 146-acre area bounded by Fanno Creek, Hall Boulevard and Oregon 99W, the city has put together a similarly ambitious plan. The goal, backed by voters’ move to create a downtown urban renewal district in May 2006: transform a smattering of old storefronts and vacant buildings into the bustling hub of a suburban city. 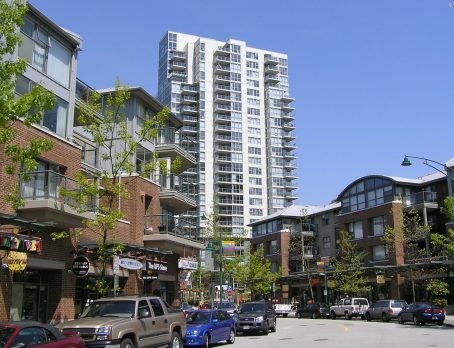 Although participants agreed that Port Moody-style midrise towers aren’t necessarily appropriate in Tigard, they were inspired by the city center and the approach that got it built. “What astounded me about Port Moody was the process and their attitude toward community involvement,” said Lisa Olson, a marketing strategist serving on several citizen groups planning the new Tigard downtown who has lived in the area for 17 years. Michael von Hausen, the Curriculum Coordinator for our Urban Design Certificate, is a busy guy. 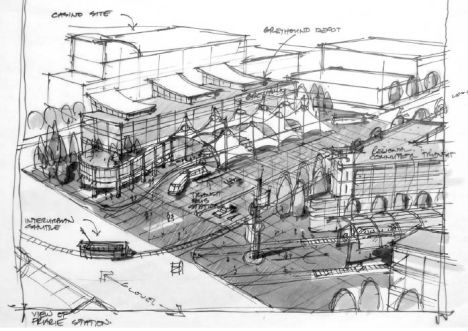 Evidence: replanning the downtown of Langley City. Here’s an article from the local paper. Imagine catching a free trolley ride through the heart of downtown Langley under the starlit sky to your favourite restaurant, cafe or trendy boutique. The bustling streets are alive with activity, making for a safe and desirable destination to take an evening stroll. During your ride a spirited attendant tells passengers about the rich history of the community. Afterwards you see a spectacular live show inside the Civic Centre, a popular hotspot for both locals and tourists alike. Michael von Hausen, a consultant for Urban Planning and Design Inc. doesnt think so. On Wednesday evening, he hosted a public information session at the Cascades Convention Centre, inviting participants to take a look into the future of the downtown core. Back in November, council approved a budget for planners to create a Downtown Master Plan. A few months later a cross section of the community was invited to attend a brain storming session on what theyd like to see take place in the city down the road. Wednesday’s meeting provided a conceptual plan, followed by a question and answer period. There’s also a summary video just up on the EcoDensity website, including excerpts from the above speakers along with UBC prof Larry Frank, here. 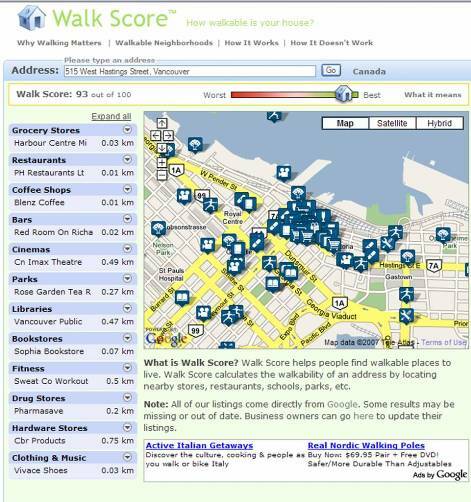 Walk Score … calculates the distance to the closest business in each of a list of commonly used categories such as grocery stores, restaurants, and coffee shops. It assigns points based on the distance to these amenities, then averages the score. This simpler strategy works well and generates great maps. 93 out of 100. Excellent! Try it for yourself – here.